There’s a theory/urban legend that everyone is just six degrees of separation from knowing every other person on the planet. 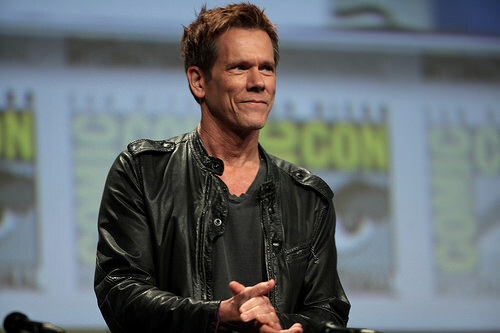 I prefer the Six Degrees of Kevin Bacon theory that every actor is six degrees (or less) removed from working with Kevin Bacon. For example, Sean Connery is two degrees from Kevin Bacon. Connery was in The Untouchables with Robert DeNiro who was in Sleepers with Kevin Bacon. We can play the same game of telephone with investment ideas, but this can play out like making a copy of a copy. Theranos, the Silicon Valley startup that set out to disrupt blood-testing, became a media darling under the assumption that everyone else had done the due diligence. The company got its start by raising money from the CEO’s daddy’s friends. Further fundraising rounds were based on the assumption that the investors in the previous round did their due diligence. The media was in a frenzy by the time the firm achieved a $9 billion valuation. The CEO fit the narrative of the young upstart disrupting the stodgy medical field with new tech and Steve Jobs-esque turtlenecks. Except that the new tech didn’t work. What started out as a group of people investing as a courtesy to the CEO’s father ended up with billions of dollars from people who should have known better. Theranos has voided two years of its lab’s test results and is under scrutiny not only from investors, but federal regulators. The lesson is to be wary of investment ideas that have been passed down through the grapevine and understand that not everyone in that chain has the same motivations. The more people involved in a decision, the more likely we are to assume that someone else has already done the work. When your buddy’s brother-in-law’s cousin’s roommate’s sister hears from her Uber driver about a can’t miss investment, you not only need to do due diligence on that investment, but on every person up that chain to see why they think it’s a good idea. Otherwise, you can wind up with a Ferris Bueller situation, except instead of ‘Save Ferris’, you’ll be crying ‘Save my portfolio’.